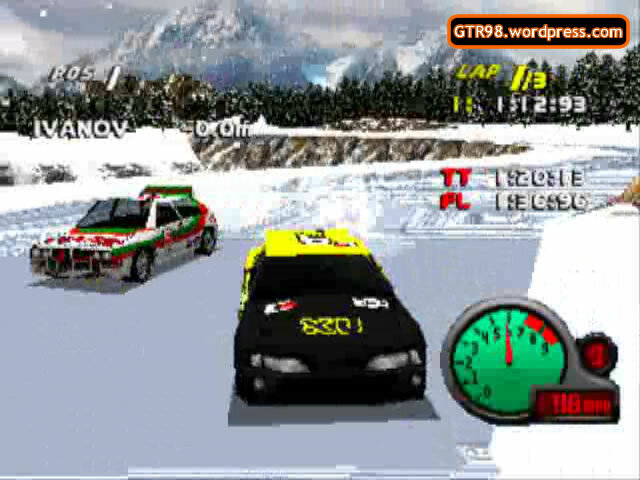 The GTR98 Site was started in 2015, about 17 years after the game’s original release, as a fan resource for Grand Tour Racing 98, Total Drivin’, M6 Turbo Racing and Gekisou Grand Racing. It is a collaborative effort between AldoHyde & Koopatrol, who make GTR 98 videos on YouTube. 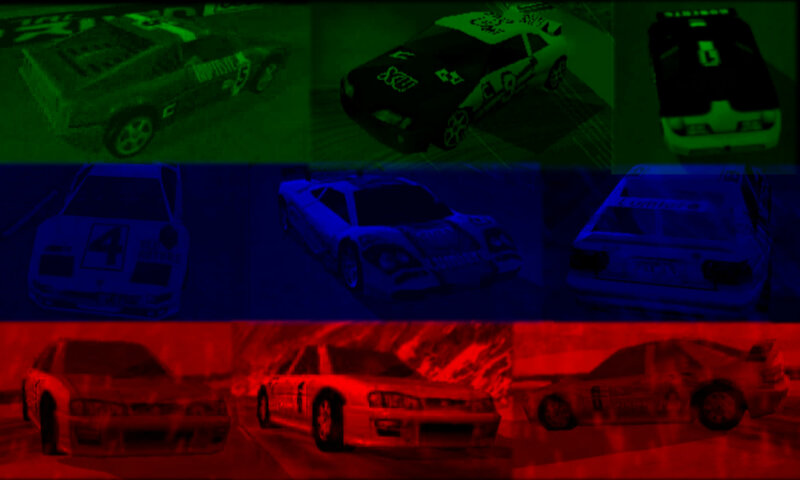 It is an extended version of the GTR98 Wikia, started in 2013. This fan-made Site is NOT associated with Eutechnyx, Activision, Ocean, Atlus, Playstation, or any official entities. All copyrights belong to their actual owners. This Site uses GTR98 conventions. By default, we use GTR98 units of distance (miles) & speed (mph). AI behavior, if not stated otherwise, refers to computer-player behavior in GTR98. If there’s a difference in AI behavior between Total Drivin / M6 Turbo Racing / Gekisou Grand Racing and GTR 98, this will be stated explicitly. EI 4: Rossi Carcass Alert! – Accuracy: Term for AI opponents on their driving ability. 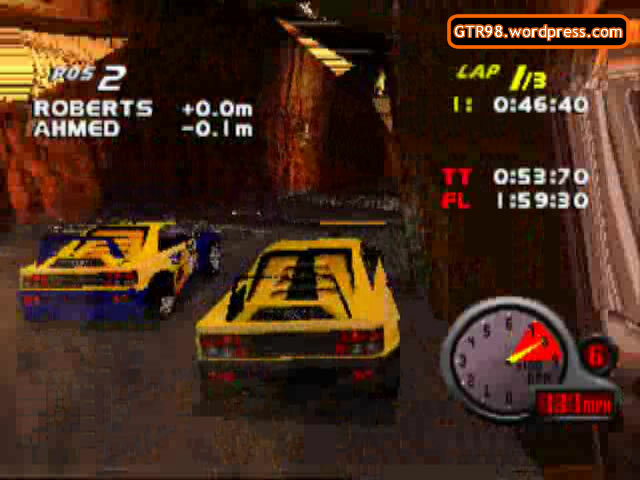 Accuracy Ranks are required in levels where accurate AI driving determines difficulty of the race. The ranks are listed in the next section. – Bogey-Starter: An AI opponent who consistently has a botched start to the race, especially when they are notorious for hitting a barrier (Egypt 7) or colliding with another opponent (eg. Egypt 4). A Bogey-Start refers to the botched start itself. – Carcass: A car that looks like it has gone Out, but still remains physically on the track, or is visible from the track. A “dead” carcass has officially gone Out. An “alive” carcass is not officially Out, but remains more or less stagnant / trapped in one place for too long. – HomeTrackers: Collective term for “Teams which are NOT Rossi/Morgen”. Ivanov, Xu, Baptiste, Lumiere, Roberts, Ahmed – teams who have a home track, unlike Rossi or Morgen. HomeTrackers tend to behave differently as AI opponents from Rossi/Morgen, hence the need for a collective term. – Level 7 (L7): Extra / Special / Hidden / Bonus Level. Obtained by locating the secret fireball in each locale. Watch this video for the locations of the L7 Secret Fireballs. 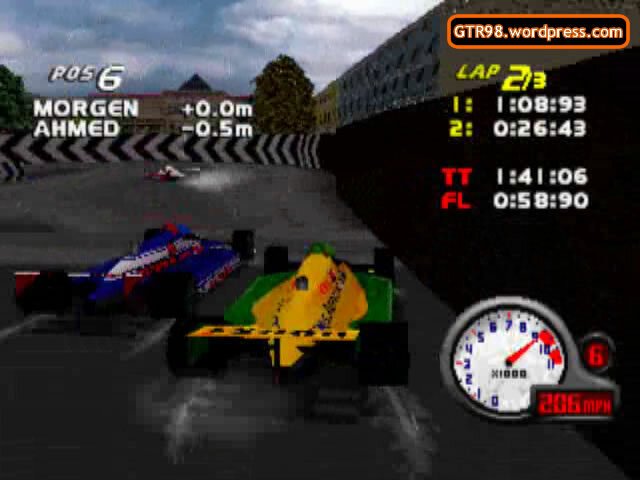 – Officially Lapped: A opponent is overtaken by a Race Leader, who is at least one lap ahead. 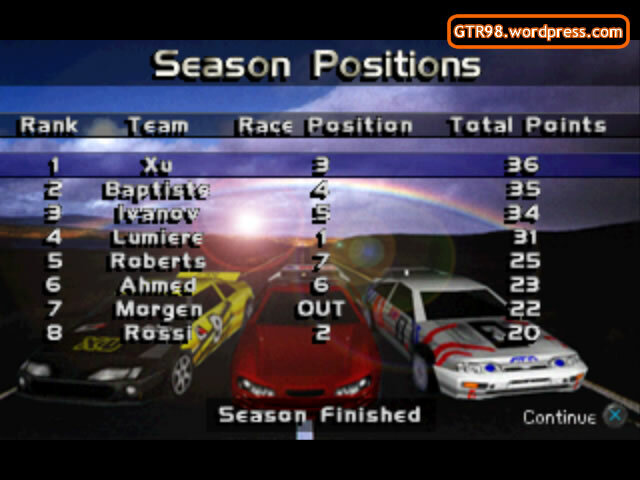 The opponent must be racing regularly (ie. not a “Carcass”) at the time of the overtaking. – Out Order: A specific, insignificant order of “Outed” cars by position. This order is identical to the Main Menu Order, except there’s no first or last. – Overlord: Opposite of Underdog. An Overlord is strong and dominant AI opponent in a race. Eg: Lumiere in Hong Kong 5, Ivanov & Xu in Scotland 5 & Scotland 6, Rossi & Ahmed in Scotland 4. – Overt Overlord: An Overlord who is consistently strong in one locale. There are only three OOs – Xu in Hong Kong, Baptiste in Easter Island, and Roberts in Scotland. ~ Roberts the “King of the Mountains” in Scotland and Switzerland. Moscow 4: Morgen & Rossi are NOT HomeTrackers. – Rampage: A gameplay style where the human player seeks to knock Out as many AI opponents as possible. It is a “Full Rampage” when all 7 are successfully knocked Out, and a “Semi-Rampage” when 2-6 of them are sent Out; or if nobody went Out, enough blocking is done to manipulate the AI positions. A “Mixed Rampage” has some opponents officially Out, while others are stuck as Alive Carcasses. – Speed Table: A common table found in level pages. 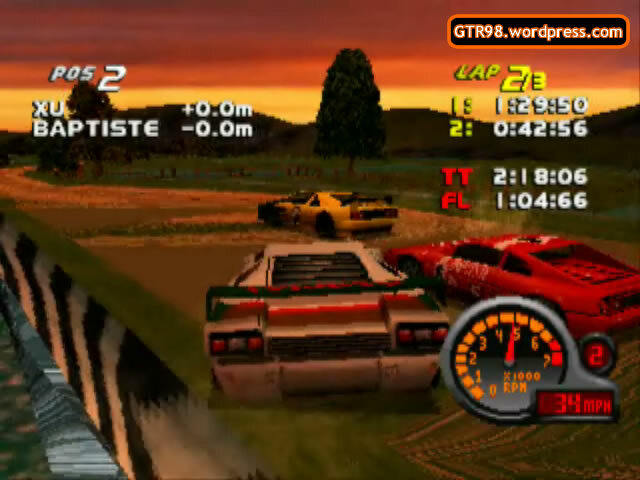 Opponents are assigned specific speeds in every level, and these speeds determine the outcome and difficulty of the race. Speed Tables show how Rossi & Morgen behave differently from HomeTrackers. 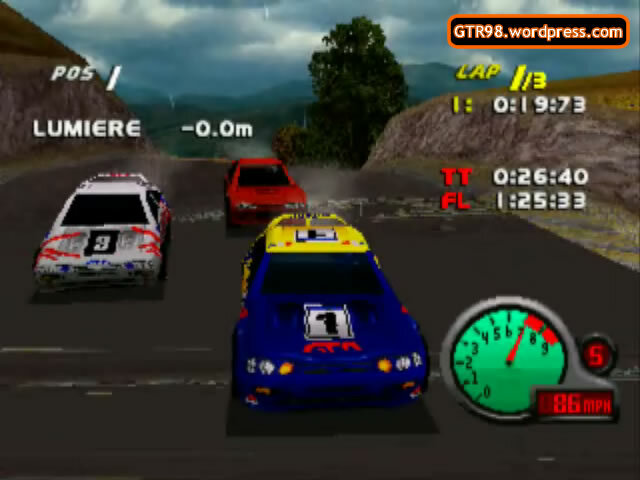 – 3 Lap Magic (or 2 Lap Magic): A gameplay style where the human player deliberately starts the race at least 15 seconds later than the AI Opponents, and attempts to win the race within the 3 (or 2) laps. – Turning-Over Trick (TOT): When a car is in the air (or in an awkward position) for long enough, it may go into “Turning Over” mode, to be restored back onto the track. The Human Player may exploit this by deliberately placing their car underneath the Turning-Over opponent, to prevent him from touching the ground for too long, causing the opponent to be knocked Out instead. – Ultimate Underdog: An AI opponent who consistently underperforms in one locale. There is at least one Ultimate Underdog in every locale (except Hong Kong), for example AI Baptiste in Switzerland. – Underdog Challenge: A gameplay style where the human player seeks to “help” the weaker AI opponents finish in front of the stronger AI opponents. Particularly useful in manipulating results in Season mode. See Scotland 4 for a specific example of these roles being clearly assigned by the game engine. 1. Gold (Potently Strong): Committing negligible errors. 2. Silver (Strong): Committing few errors. 3. Bronze (Medium-Strong): Committing a moderate number of errors. 4. Steel (Medium-Weak): Commiting many errors. 5. Iron (Weak): Committing a considerable amount of errors. 6. Rust (Atrociously Weak): Committing an unforgivable number of errors. May even risk being lapped by the race leaders. – Silver Season Challenge: Win the season without winning any of the races. A season winner does not often have less than 36 points, unless the other opponents have been Out really often. The “perfect” score for this challenge is 42 points (2nd place in all 6 races). Harder variants include the Bronze Season and Steel Season, where the perfect scores are 36 (3rd place in all 6 races) and 30 (4th place in all 6 races) respectively. See the Season page for these videos. – Order: A gameplay style in which the player must sort out the positions according to a specific arrangement. 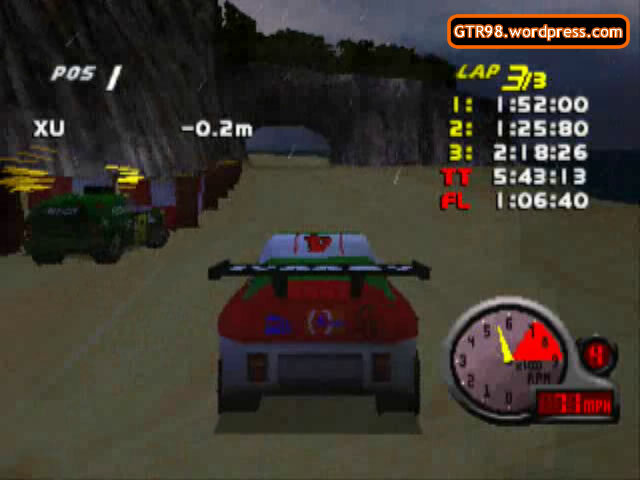 Examples include the Out Order, Number Order, or any Starting Positions used in the game. – Sabotage Season: Win the season while sabotaging yourself in some way for each race. Examples include using the manual transmission, or starting 20-30 seconds after the race has begun (ie “3 Lap Magic” Season). – No-Eyes: Win the race while using “Rear View” the entire time.